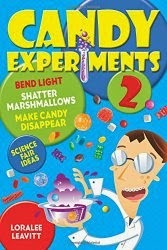 Impact Candy is providing Warheads for the Candy Experiments booth at the USA Science and Engineering Fair Washington, D.C. Find us there October 23-24 on Pennsylvania Avenue near Freedom Plaza. Warheads make great acid-test candy, since they contain so much acid. Drop one in baking soda water and watch the bubbles rise.